Avast! Trailer For Suicide Squad. Posted on July 16, 2015 by Big Red	in Movie Booty, Trailer Booty and tagged batman, film trailers, jared leto, movie trailers, suicide squad, suicide squad trailer, suicides squad news, the joker, will smith. After it was secretly recorded and leaked online following its exclusive unveiling at the San Diego Comic Con last weekend, Warner Bros have now officially released the full and glorious trailer for Suicide Squad. The movie is written and directed by David Ayer, (Traning Day, Fury), and stars among others Will Smith as Deadshot and Jared Leto as The Joker two members of a special group of super villains which a secret government agency recruits to execute dangerous black ops missions, in exchange for clemency. There has been a lot of concern by rabid fanboys about the prospect of a Suicide Squad movie but judging from the trailer it looks like they really had nothing to worry about. Suicide Squad is scheduled for general release on August 5th, 2016. Avast! Trailer For The Dark Knight Rises. 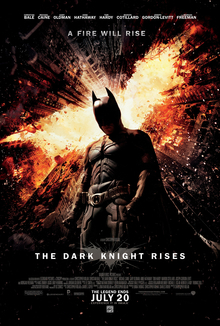 Posted on December 21, 2011 by Big Red	in Trailer Booty and tagged bane, batman, batman trailer, christian bale, dark knight trailer, film news, film trailers, movie news, movie trailers, the drak knight rises trailer, tom hardy. We’re a bit late to the party with this post but there’s a good reason. We really, really didn’t want to watch this trailer as our intention was to go in to see this film completely free from any kind of spoilers. Unfortunately we succumbed and although we resent ourselves, we were’nt disappointed either. Want to know the finer details of the plot? Go read them elsewhere, all we know is Christian Bale is back as The Batman and Tom Hardy plays Bane who is the central villain of this final installment in the Dark Knight franchise. Consider our tickets bought.